Exhibition by CoCreable with Another Crep in the Wall by the collective Morir de Frío, Sense Remitent by the collective Ramart i Digues la Teva! with pupils from Institut La Plana de Vic. 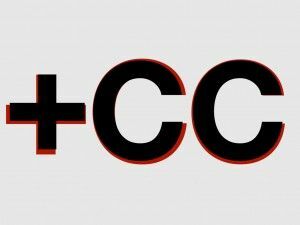 The CoCreable collective demonstrates its co-creation methodology through several projects in the artistic, social and even business spheres. From redesigning a school yard, through devising initiatives to promote reading among young people, a green space for users of green lines, or solutions for people with disabilities; all their projects have in common, that they have been created and built using contributions of people from many different fields and profiles who have worked together. Co-creation involves rethinking many of the assumptions related to the world of art and creativity: passing from the individual creative genius to the collective genius. The works resulting from processes of co-creation are by all participants, and authorship is diffused. Creativity is not the exclusive virtue of a group nor of a person with a certain profile. We are all creative, but sometimes we lack the tools to express this creativity. There is another fundamental aspect linked to co-creation, which is, to promote the empowerment of people to transform their reality actively and creatively. Present-day society increasingly demands more involvement in the creative process and decision-making, to regain an element of social power by either designing or managing our cities, the products we consume, or our governments. This requires developing new ways of managing this latent collective creativity and provide the tools to facilitate this path. In the different projects by CoCreable, there is an educational intention, as well as an intention to distribute these new methodologies far beyond the significance of the process itself and its results. In this way, for example, to spread the methodology within education, the collective published an open guide Guia pràctica per co-crear a l’escola // Practical guide to co-create a schoolfrom the project #NouPatiCastellum which led to the formalisation of the process of co-creation as a methodology(OPENAT CO +4Cs). This, added to the fact that the project has become a viral video, has inspired more than twenty schools in Catalonia to begin processes of co-creating playgrounds, and many have been inspired to begin more projects to improve their schools. The exhibition, in addition to demonstrating the process of various projects undertaken to date by CoCreable, shows two co-created installations during the exhibition itself: firstly the #NouMiniespai – a redesigning of ACVIC's space for families - which was co-created by students of theCo-creation of children's exhibition spaces course taught by Lluís Sabadell Artiga; and #PlayGrown, a new play-space for children to co-create with their parents, in collaboration with the Escola Castellum (Sant Julia de Ramis, Girona). 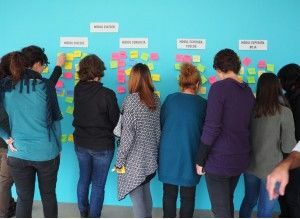 This space is open to participation, either in person - intervening within the space - or through an online challenge on the website www.cocreable.cc, where you can bring ideas and proposals for improvement. CoCreable was founded in 2012 by artist Luis Artiga Sabadell. The collective's members are: Ricard Culubret, Albert Serra, Mariona Mata and Nathaly Segura who helped co-create with more than 300 people projects such as #NouPatiCastellum (2010-2012) with the Escola Castellum in Sant Julià de Ramis;#NouBarrisNou (In Residence 2011) with the Institut Collserola; All #OrbeaUseCreativeExperience (Conexiones Improbables, 2012-2013) ; # Cacharratón (2014 ); # NovaSalaRegàs (Centre Cívic pont Major, Girona 2014-2015) Auzolabs (Donostia 2016). The project consists of a game of correspondences between a group of people who participate anonymously following guidelines of operation. It consists of taking one of the objects left inside a cabinet, and leaving another object behind by way of reply. As soon as the new element has been left, another must be taken to continue the process. This is repeated several times while the process is active. The idea of correspondence includes any format (drawing, photography, text, a three-dimensional element, a found object ...) and the only limitation is provided by the dimensions of the container in which they are deposited. The first pieces made available to start the correspondences were generated by the collective Ramart as a result of the first phase of this project carried out between 2011 and 2014 at the Escola d'Art i Superior i Disseny under the title Armariets, “ small cabinets”. 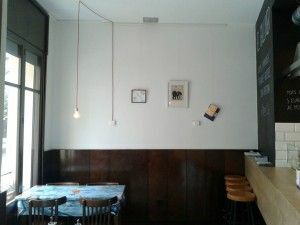 As part of the Sense Remitent project, a correspondence began with different groups, and the process will remain openfromFebruary to June 2015 in several places simultaneously throughout Vic: ACVic Centre d’Arts Contemporànies, Escola d’Art i Superior de Disseny de Vic, Bar-Restaurant El Gravat, Isa Basset Atelier; and in Barcelona at: Escola Massana Centre d’Art i Disseny, and Llotja Escola de Disseny i Art. The project is part of Hybridisations and Contexts 2014-2015, a collaborative project between art centres and art and design schools throughout Catalonia. This project was initiated in 2014 by Morir de Frio, set up at El Galliner Restaurant in Torello, in collaboration with Íngrid Picanyol and Guillem Povedano. 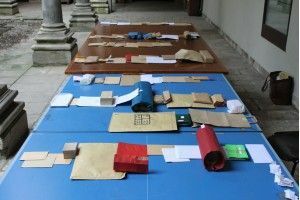 To activate the space, Morir de Frio devised a game in which it was proposed to an artist, a resident in the province of Osona, to write down a recipe for developing an artistic piece. This text was sent to another artist, asking for an interpretation. The end result was produced and displayed on one of the walls of El Galliner. Up until February 2015, the wall saw works by Jordi Lafon, in correspondence with Eli Soler and Jordi Casas; Irene Solà proposing a work which involved El Galliner customers; the group Kitschiness, interpreted by Bet Moret, and Jaume Coll, a poet from Muntanyola, who wrote the recipe for musician and visual artist Arnau Musach. In 2014 the collaboration between Morir de Frio and the restaurant El Galliner began with Another Crep in the Wall. In parallel, they also broadcast the programme Radio Congelador, on the radio station Ràdio Ona de Torelló. Starting out with a workshop, three audiovisual works and three posters were produced jointly and independently by pupils between 15 and 17 years old. The theme was INTERCULTURALITY, observed through a specific concept chosen by each group (the equality of cultures, cuisine, and folk tales from pupils' countries of origin). During the workshop sessions, the teenagers worked with image retouching and video editing programmes combining technical training with training in conceptualisation, organisation of tasks, and the creation of a work team. HOME DEL SAC (Bogeyman) Emmanuel Banie, Sergi Higueruelo Hidalgo, Francis Kodjo Kwane, Ernest Lleixà Dordal i Lucca Scolari. Short inspired by the folktale of the bogeyman known around the world: Catalonia, Ghana and Morocco. The audiovisual piece tells the story of the consequences of being violent and of quarrelling with another person. INTERCULTURISTES. Chayme Ihammouten, Rebbeca Kwame, Roger Platero Vila, Juan Rodríguez Molina, Andrea Roldán Cedeño i Hadil Salmi Mohamed. Interculturalistes is about the different countries of the group's members, Ghana, Ecuador, Spain, and Catalonia, from the gastronomic point of view. The audiovisual piece shows each group member preparing a meal popular in their country. IGUALS (Equals) Arnau Boada Alibés, Yasmina Kerda Hidalgo, Nohaila Khamlichi i Ruth Suñer Castillo. This project speaks of equality between people in the secondary school. It aims to raise awareness within society that we are all equal, regardless of the physical differences we have. A project sponsored jointly by ACVic Centre d’Arts Contemporànies and Institut La Plana de Vic,with the support of the Adobe Youth Voices international programme. This is the second edition of DIGUES LA TEVA! The first was conducted in collaboration with the Escola d'Art i Superior de Disseny de Vic and with pupils studying the Arts and Scenery baccalaureate qualification.